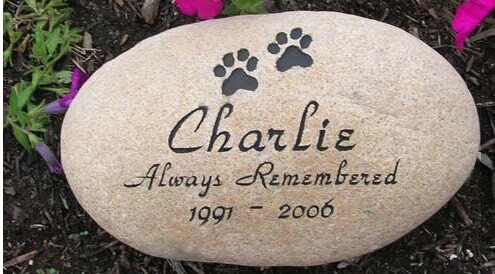 Our pet memorial river rock makes a beautiful and lasting memorial for your pet. 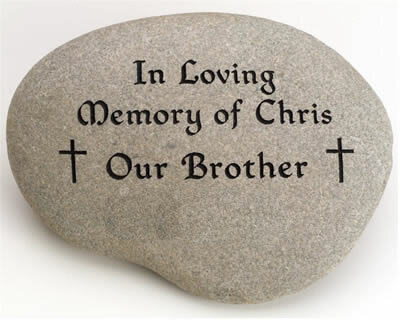 The stone is engraved with your special inscription, sandblasted and then stained with a black acrylic masonry stain that is resistant to chipping and fading. Please note: The rock color can vary and may not match the image shown. Color range of our river rocks include grays, yellows, tans, blues and reds. 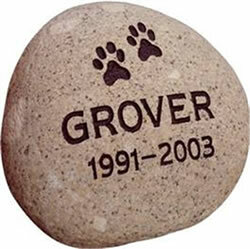 - A graphic can be added to the pet memorial river rock. Placement of the image is determined by the artist. See Details tab for images. 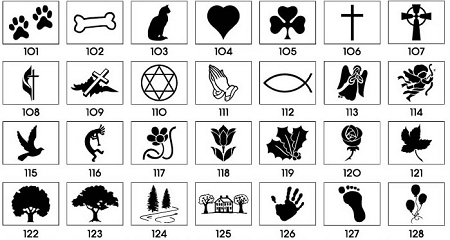 Dimensions: 10"- 13" L x 4-8" H x 1-2" D.
Holds up three lines with a maximum of 17 characters per line, plus an image. 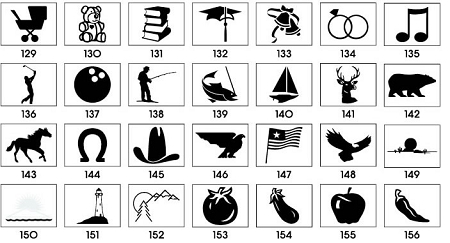 Dimensions: Approximately 12"- 15" L x 8" H x 1-2.5" D.
Holds up four lines with a maximum of 17 characters per line, plus an image. * Please note: Sizes and weights are approximate because no rock is the same size. We hand select the rock that looks best with your text. My stone arrived this morning, May 18th. I just love it. To ourcornermarket: Thank you so much for helping me with this stone. I appreciate it. I just wanted to say that I LOVE your company. Your customer care is absolutely the best I've ever received and I do most of my shopping online. I had 2 pets die in one week and my boyfriend had to put his dog to sleep unexpectedly and when I called after I ordered my 2 stones and said I might need to add another, your company didn't charge me for delivery on the third stone. 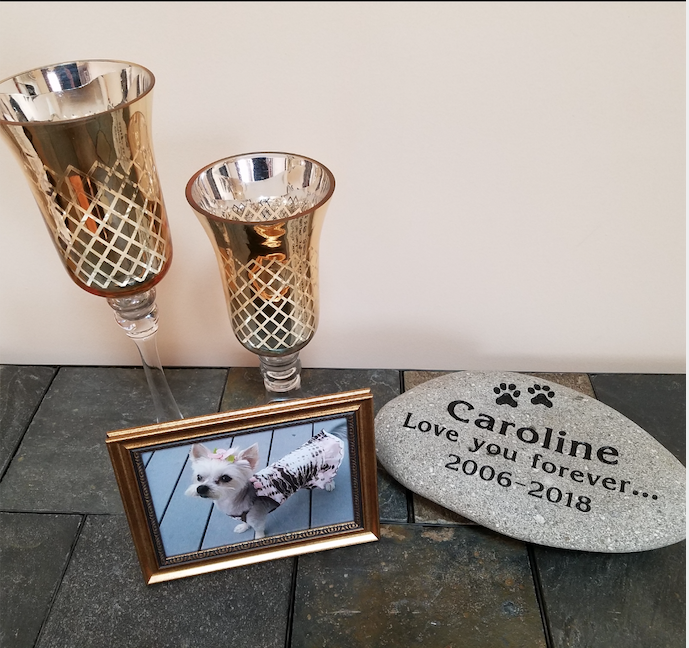 I have received 3 different pet memorial stones from your company and all are very beautiful but it's your customer service that sets you apart. Plus, everyone was so kind on the phone when I was so sad about all the losses, two of them being very unexpected. We have ordered two of these for our dogs who we miss so much. The first one still looks brand new and so we knew this one would be too.